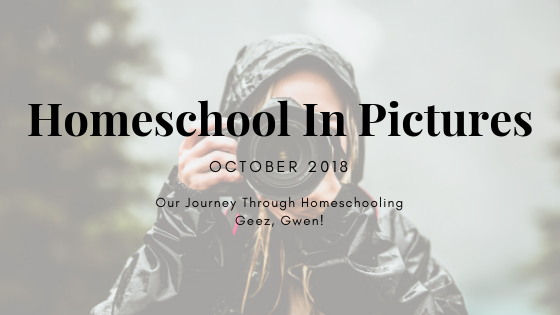 Homeschooling In Pictures - October 2018 - Geez, Gwen! 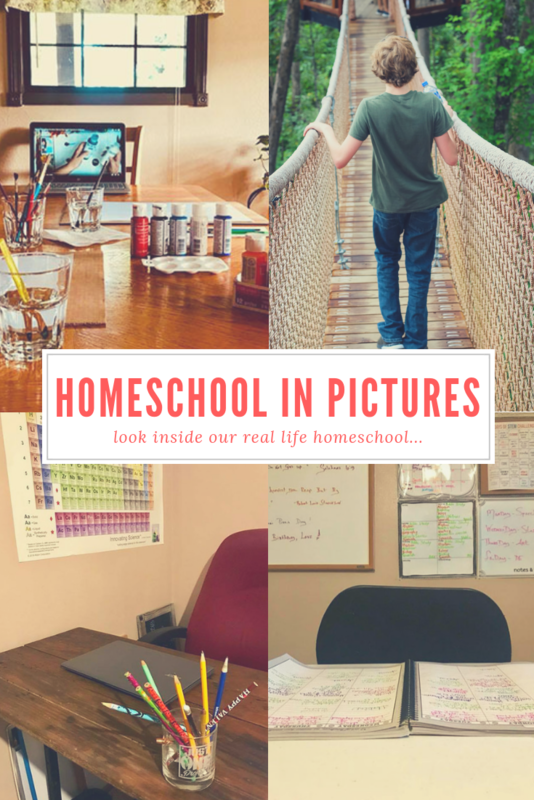 If you have ever wondered what it really looks like to homeschool, then you are in the right place. 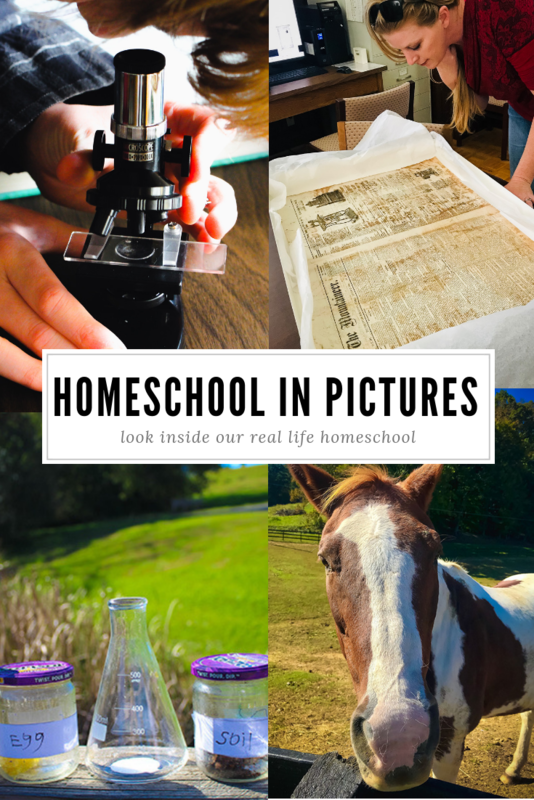 Welcome to our Blog Series, Homeschool In Pictures. 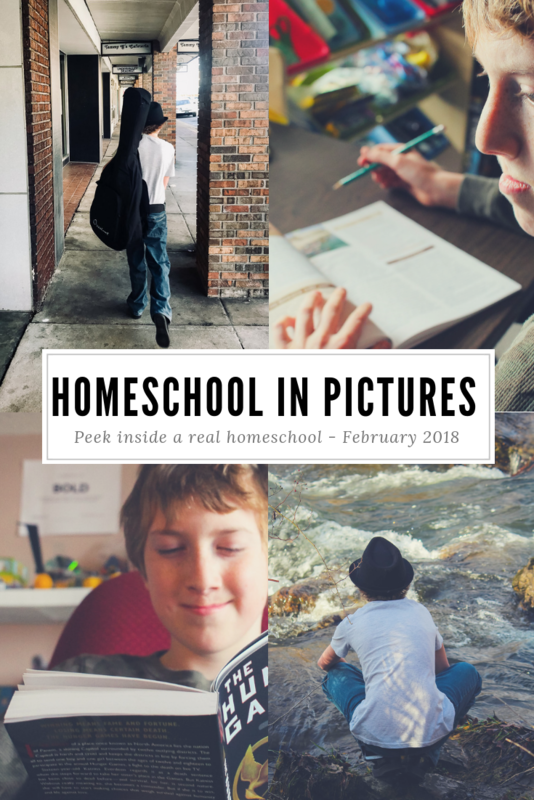 Here we are offering a real deal look inside our own homeschool. We wanted to offer an honest peek inside for everyone who is curious about how this is done. 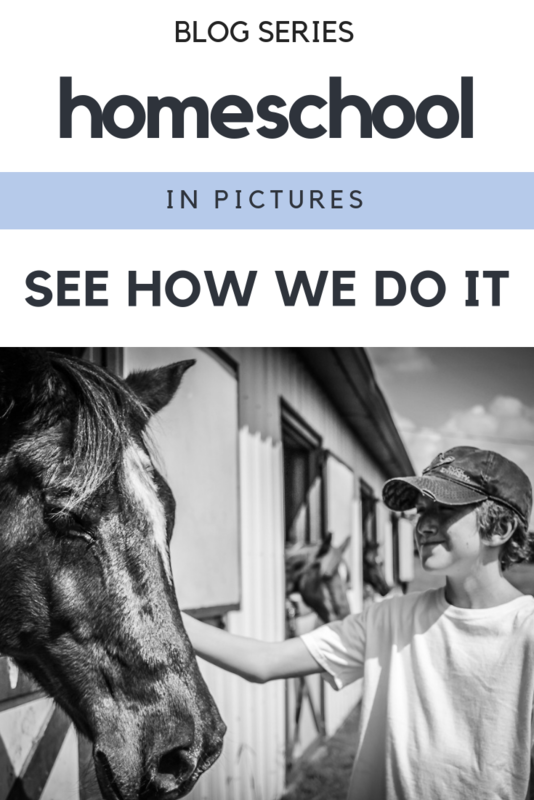 What do homeschoolers do all day? How do we learn? Do we get outside? What about socialization? 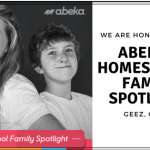 Could homeschooling be the right choice for your family? October was amazing! We did a lot of learning. T wrote some amazing papers. We discovered a new fascination for the microscope. Together, we hiked a lot. We also cooked a lot. T volunteered in several different areas of the community this month. 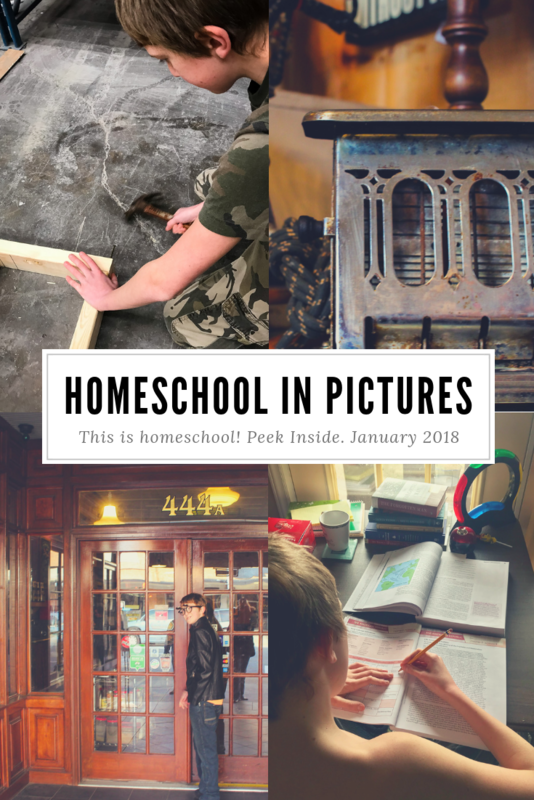 In general, we had a really wonderful month of homeschooling. 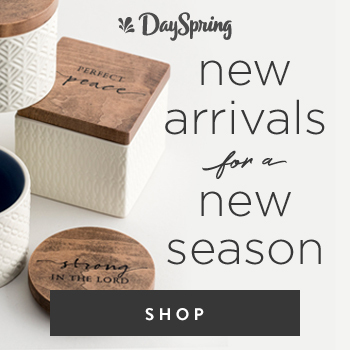 Let me share a peek with you! 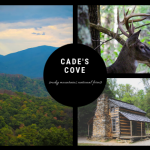 This month we took a beautiful trip up to Cade’s Cove in Gatlinburg, TN. You can read all about that right here. 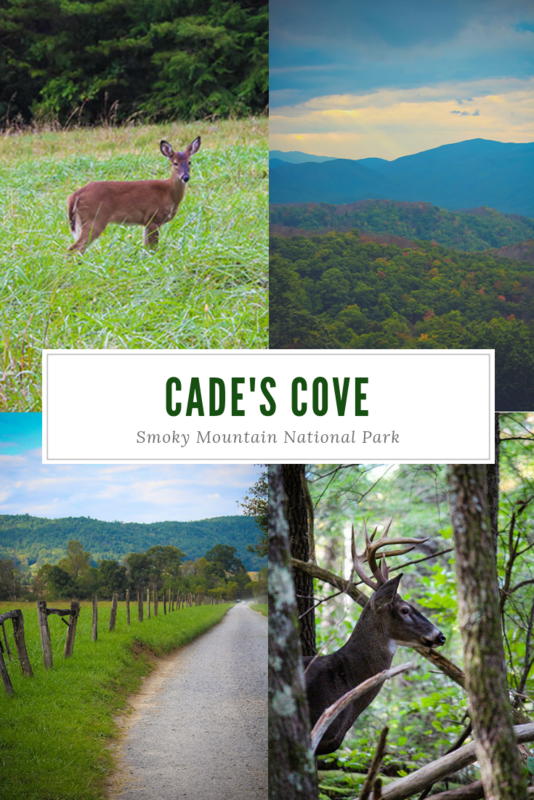 We love exploring all areas of The Great Smoky Mountains National Forest, but Cade’s Cove is our favorite place up there. 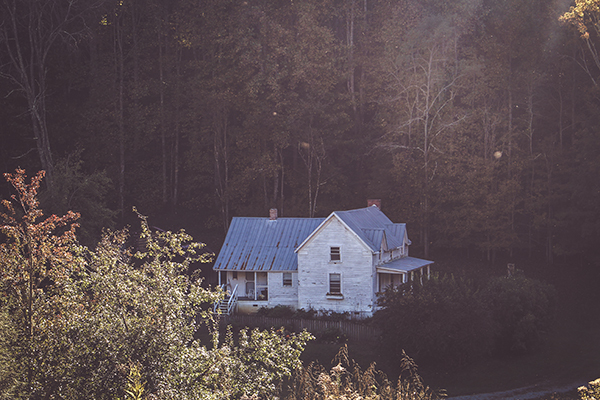 We enjoy driving the loop and traveling up to cabins like this one. Together we have studied in depth what it took to survive every season up here in this area and we have also learned a lot about the people who called this place home. These were tough people. It was not an easy life up there. 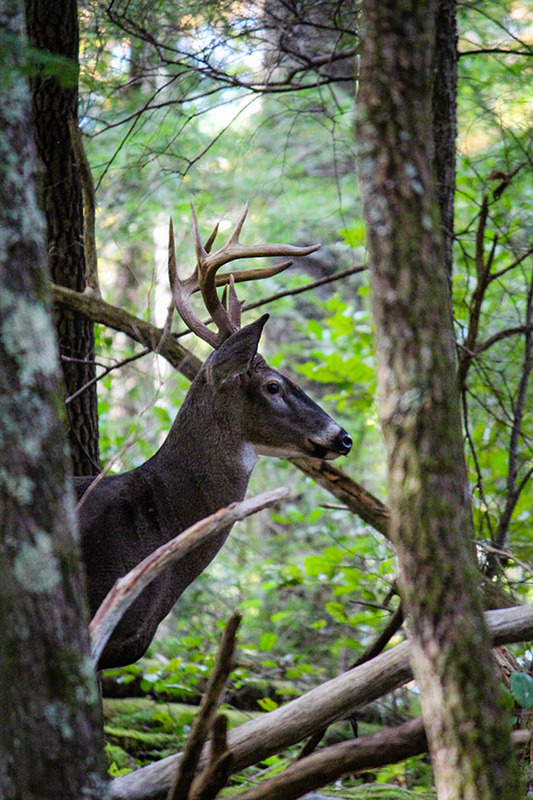 Wildlife managers closely monitor the white-tailed deer population and health of the deer in Cades Cove. Another great thing about visiting these mountains is that we always experience close encounters with wildlife. On this trip, we saw this buck as well as three other white-tailed deer. We also saw two American Black Bears. When we got home we studied about how wildlife officials manage to keep these populations in control. We learned about the diversity of wildlife in the area. 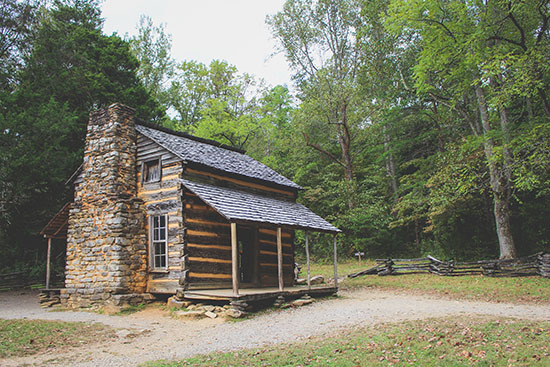 After reading this article from the National Parks Service and learning that The Great Smoky Mountains National Park is considered to be the “Salamander Capital of the World,” we decided to visit next Spring to see what we could encounter and photograph for later study. T and I were devastated to find a bird which had flown right into our window suffering and unable to move. 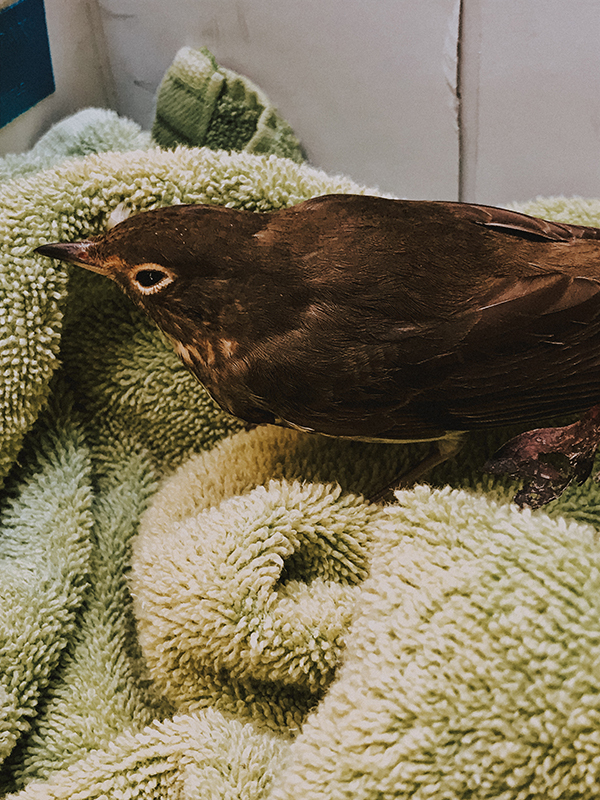 We contacted our local wildlife department and they advised us to gently pick her up with a towel and place her in a shoebox in a dark place for two hours. They told us if she did not fly away after that to call them back for further instruction. We prayed for the little bird and two hours later she flew away! It was awesome! 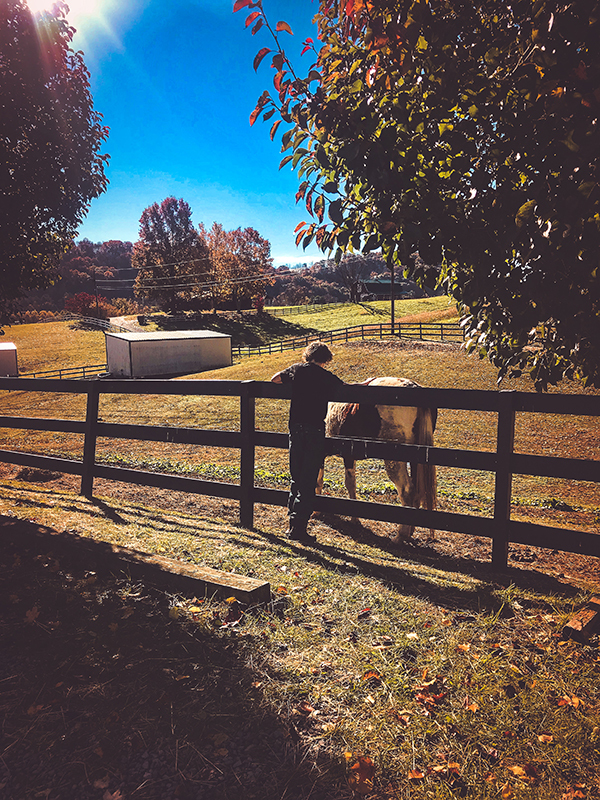 Once a week, I drive T over to Kingsport so he can work at Small Miracles Equestrian Center. 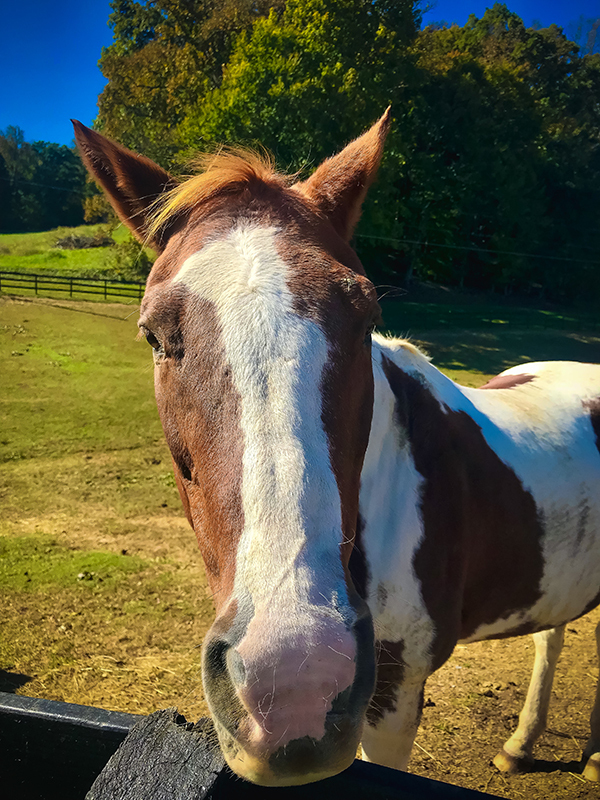 This organization utilizes the stables and The Miracle Herd to reach out to children with disabilities, at-risk youth, and Vets suffering from PTSD. T loves his job there and he has learned so much from this experience. He is in his second year. This month we spent time at two libraries. T is part of the Teen Advisory Board at The Johnson City Public Library and he is also working on a Stories To Service Project with them. For their current project, they are focusing on how best to prevent people from texting while driving. The book they read is called Goodbye Days by Jeff Zenter. His team is working on creating handouts, putting together a script for the media, and coming up with mission statements and catchphrases. This is a project T feels very strongly about and he is really happy to be part of the fight against texting while driving. Check out these Top Ten Facts From Teen Safe About Texting While Driving Distracted driving accounts for approximately 25% of all motor vehicle crash fatalities. At the time of fatal crashes, teens have been the largest age group that reported being distracted while driving. Driver distraction is reported to be responsible for more than 58% of teen crashes. In 2015, 391,000 injuries were caused in distracted driving-related accidents. In that same year, distracted driving was cited as a major factor in 3,477 traffic deaths. 9 people in the U.S. are killed each day as a result of crashes involving a distracted driver, according to the Department of Motor Vehicles. Distracted driving has been called an American epidemic and is completely preventable. Since there is no way to test for distracted driving after an accident occurs, it’s widely believed that the number of crashes, injuries, and fatalities caused by distracted driving are vastly underreported. It takes only 3 seconds after a driver’s attention has been diverted from the road for a crash to occur. Car crashes are the number one killer of teens in the U.S.
Long before this project began T had me pledge to the It Can Wait Campaign. And he holds me to it. I can’t even touch my phone while behind the wheel and with good reason. If you and your teen have not made the pledge, check it out here. While T is doing his best to help save lives at The Johnson City Public Library, he has a lot of fun in there too! He recently attended Frankenfest and had a ball. 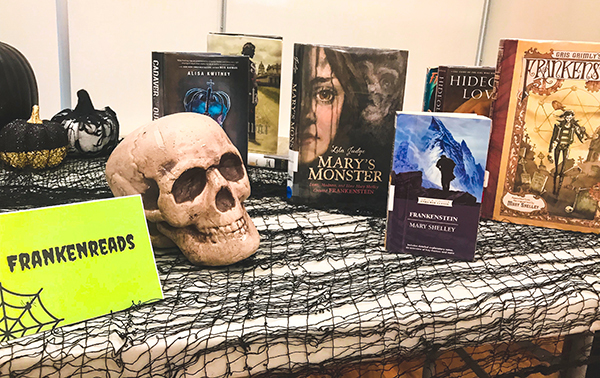 It was the 200th anniversary of Mary Shelley’s Novel, Frankenstein and they celebrated! 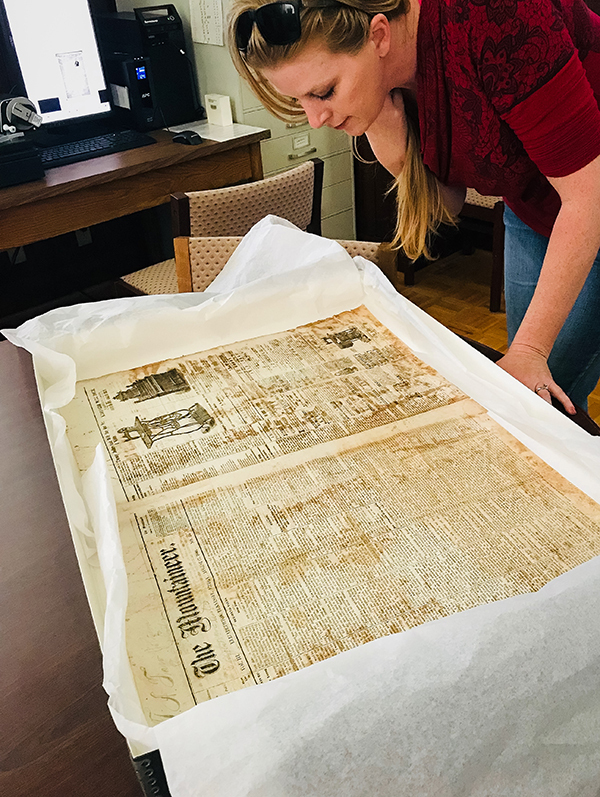 Here I am checking out the very first newspaper ever printed in our little town! T has a lot of Cherokee and some MicMac in his family history so we have long been fascinated with Native American culture and of course with their highly respected Medicine Men and Women. Granny Hackle was clearly one of those. We hope she is resting in peace. T and I have been studying microorganisms and they are fascinating. We have been having a ball using our microscopes to get a good look at all kinds of critters from the Kingdom Monera. Our text led us on an adventure to find some pond water full of little organisms. We had to go prepared with four jars. In each jar, we had a different element. They were as follows: hay, rice, cooked egg yolk, and soil. 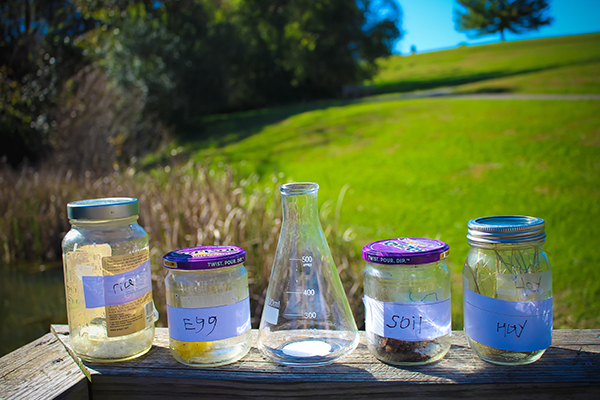 We added the same amount of pond water to each sample and then were told to open the jars three days later to see which had produced the most organisms. The text warned us it would smell very bad. We felt that was an understatement for sure! When we cracked open that one with the egg yolk in it, the room instantly filled with the most unthinkable stench you could imagine. I fled in search of the air freshener and when I came flying back on the stairs hoping my son was still conscious I found him like this! Yup, gas mask guys! He received this as part of his Battle Box subscription and I was pretty sure he would never actually need it. I found myself wishing for two! After that, we had to get out for the rest of the day! This homeschooling life has led to many field trips. T and I love to get out there and learn with as much hands-on experience as is possible. We also enjoy meeting experts and we have found that they are our favorite source for knowledge. When you find someone who has dedicated their life to a field, you find someone with a passion for the subject. We seek those people out. That kind of excitement is contagious after all. 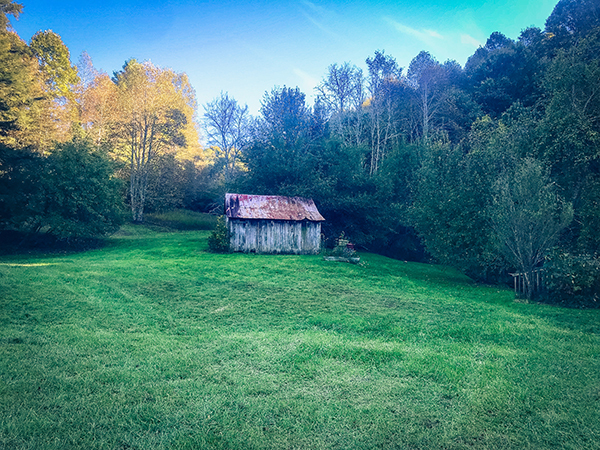 The day when the Science Experiment went bad we were more interested in the fresh air than open minds, so we headed up to Roan Mountain to walk around at The Miller Farmstead. 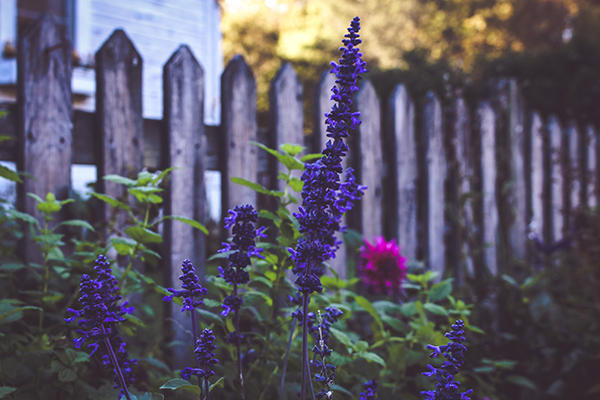 We were surprised to find flowers still blooming this late in the season. Using our app PictureThis on our phone we identified several of them! 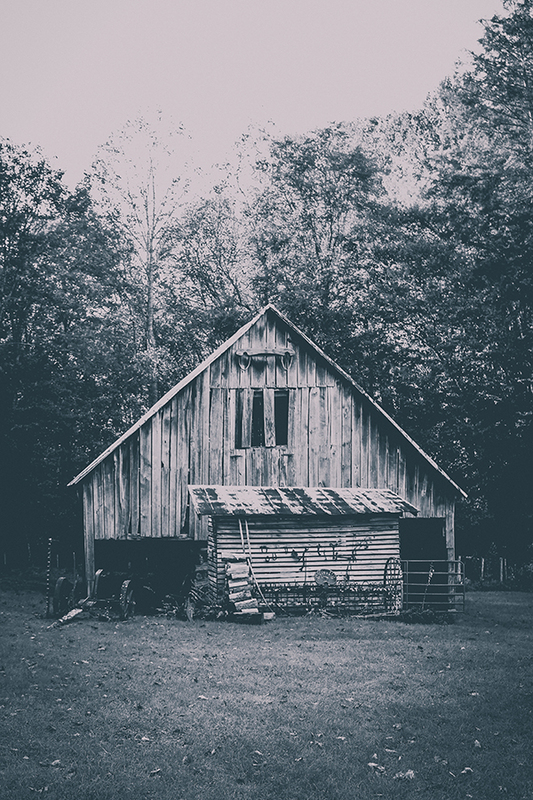 T and I hiked down and walked around the property taking guesses at what the farm tools had done back in the day. We took pictures of them to research when we got back to the homeschooling classroom. And we checked out the other little buildings all around. We couldn’t get enough of that clean Fall air to help us forget about the smell in that wretched jar! Fall was at its early finest so we stayed until we had only ten minutes left to get back to the car and down to the gate before we were locked in for the night. It was hard to leave on such a beautiful afternoon. 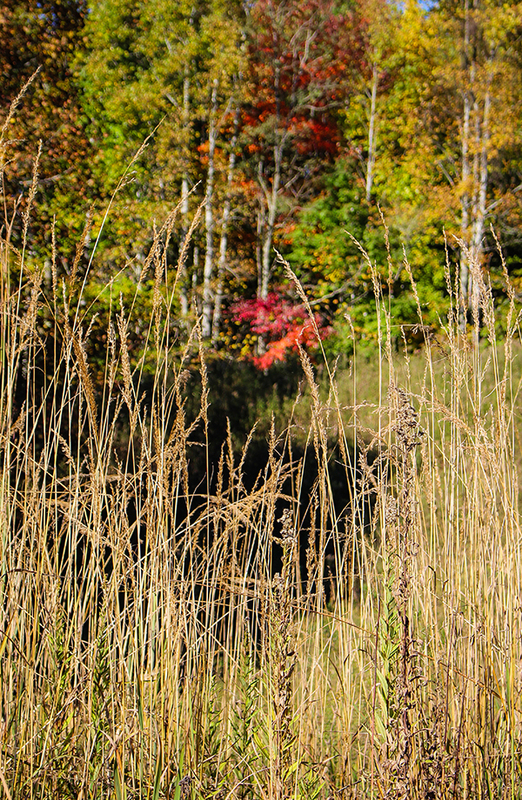 With the sun starting to set it cast everything in a golden hue, even the grass was glowing! 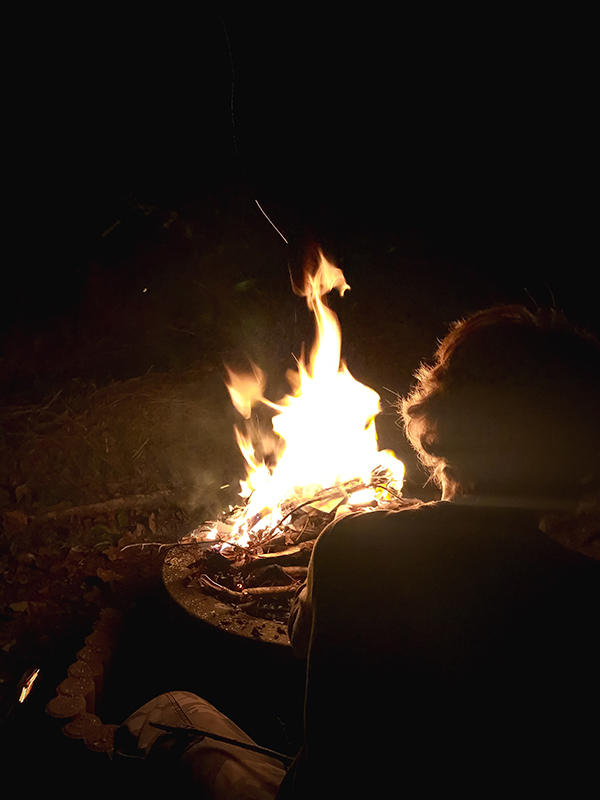 As October came to an end the nights were falling early which lead to a lot of bonfires. This year T cuts the wood by himself and gets the fire built up while I gather the S’Mores fixings. 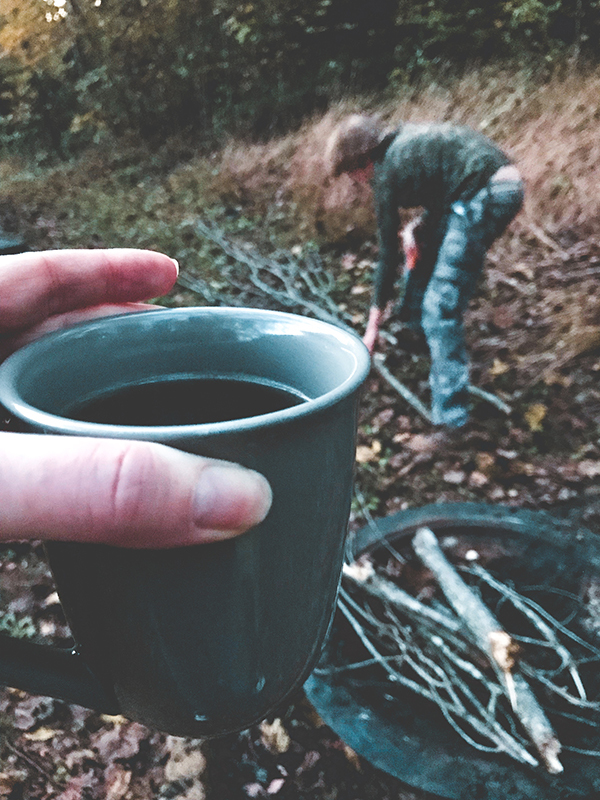 We have an addiction to hot apple cider that starts about the first of October and rules us through mid-November when our hot cocoa addiction takes over. I always make sure to have a mug ready for him while he is setting things up! We loved being outside on these Fall days so much that we doubled up work subject by subject until we had earned an entire day off. Homeschooling allows for that. 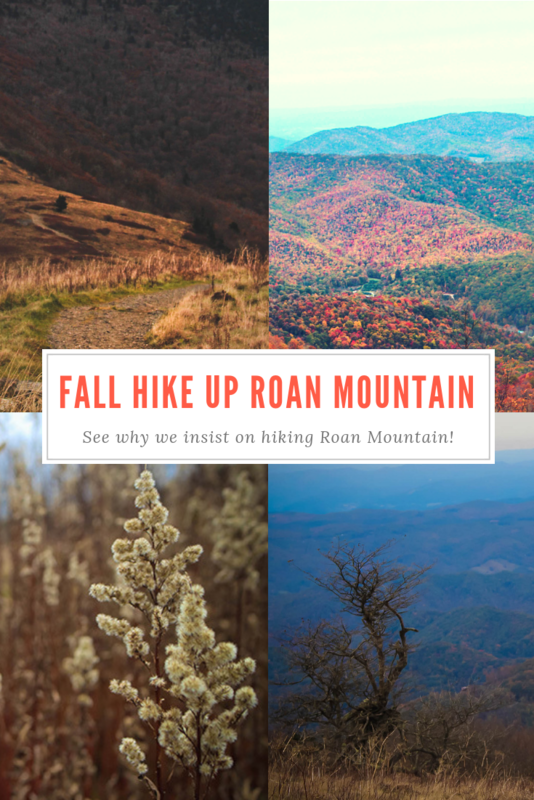 We took a full day hike up in Roan Mountain and it was spectacular! 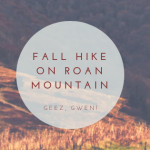 You can read all about our Fall Hike up Roan Mountain right here! The horse’s coats have gotten thicker. It’s a sure sign that the end of this year is coming up. I celebrate and grieve every year. 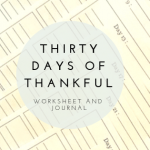 On one hand, I know that we have been favored with another beautiful year, overflowing with blessings and I am so grateful for each of those moments, and each of those memories. But as T gets older, and the time for him to graduate and head off to college approaches, I feel a bit of a tightness around my heart. It is after all so full of him. Of his presence and his thoughts and his love. I see a young man before me where once there stood a child. It’s hard to let go. It’s hard to let him be the man he is so obviously becoming. But it is also so amazing. He’s a goofy teenager, always making us laugh, but T is also a kind, considerate, generous, and compassionate young man. He is extremely intelligent, and confident, and a leader. He is already changing the world, one day at a time, for the better. I am excited to set him out into the world, carrying all of that light, and all of those ideas and all of that energy to make it a more beautiful place. A better place for his own children one day. So there is your sneak peek into our homeschool life. 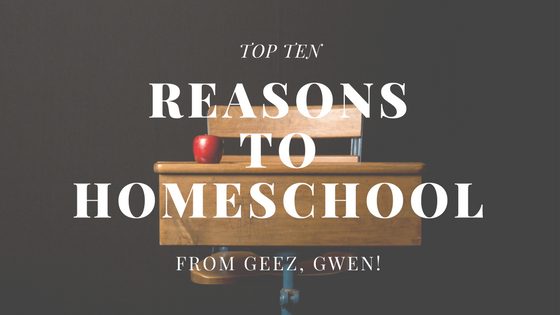 Homeschooling offers an amazing opportunity. It’s hard. 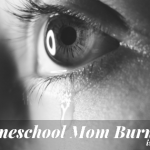 This homeschool life requires a huge commitment. It’s beautiful. Homeschool is a huge blessing. It’s also an adventure full of twists and turns and high peaks and deep valleys. 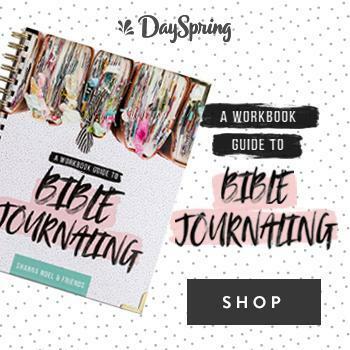 Homeschooling is a journey. One you take together. And we would not trade it for the world. 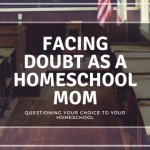 If you have questions about homeschooling, ask me. I am happy to tell you my truth about this way of life. I will help in any way I can. 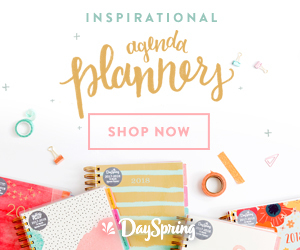 You can send questions through the comments section below or if you would like a more personal setting, email me at me@geezgwen.com. I’ll answer. Wishing you all great blessings and favor! 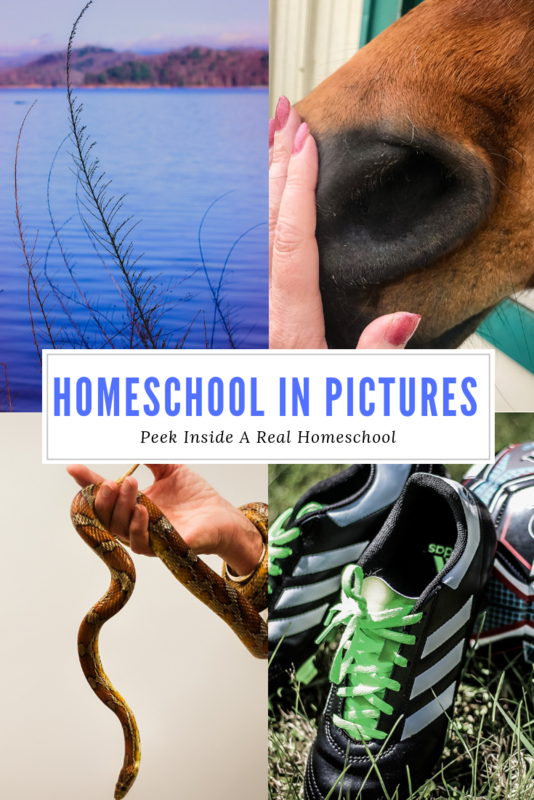 Homeschool In Pictures Is A Blog Series! I just love this! 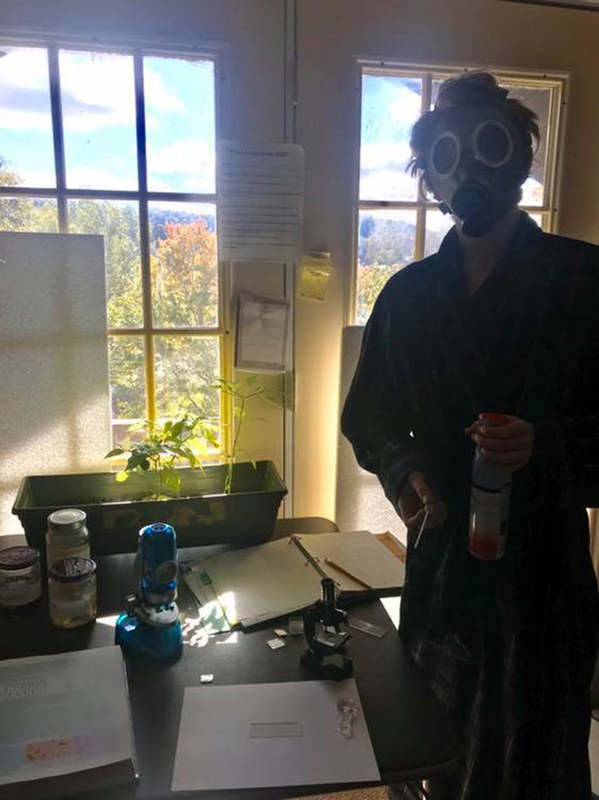 And I had to laugh out loud at the gas mask… we have had similar “problems” with science experiments in our house too. Ha ha ha! It was such a scene in there! 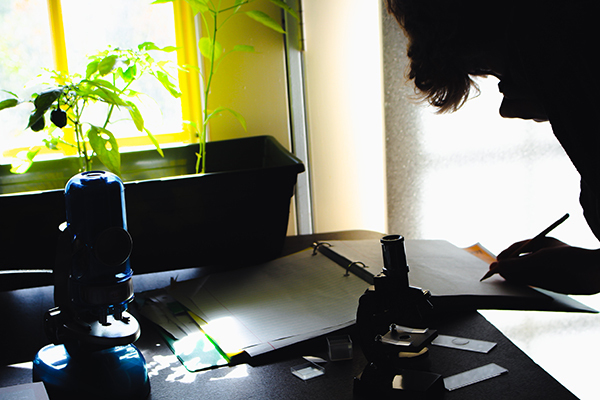 You never know what might occur in homeschool Science class! Thanks for stopping by and taking time to share this journey with us!